Oct 26 Thank you for a great visit at Kakadu Bird week. 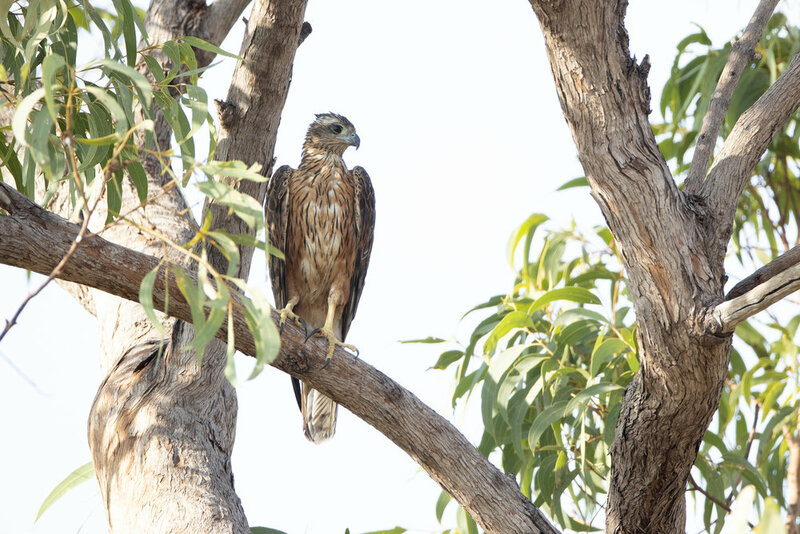 The 7th Kakadu Bird Week held in October school holidays was a great success. We want to say a huge thank you to NT Tourism, Birding Trails, Kakadu National park and NT Birding Specialists for a great visit during Kakadu Bird Week. We highly recommend you add this to your birding calendar. Image: Sarah Burgess Kakadu National park ranger and Luke Paterson of NT Birding Specialists are both committee members of the Top End branch, lucky us! While in Kakadu we saw how birds impact our daily lives, how ancient aboriginal cultures have traditional bird stories and how important the data collected by many of our members and researchers is to informing us about bird behaviour and best practice conservation in parks and communities. Attendance doubled on the 2017 event with over 1600 visitors flocking to a wide-variety of birdwatching tours, cruises, walks, 7 specialist presentations (researchers and Top End bird guides), live bird shows, traditional bird language sessions, ‘mini-scientist’ sessions, painting workshops and more. Always a pleasure to see the beautiful Black Bittern. Our newly formed BirdLife Top End branch members motivated young and old on how we can all be a part of conserving birds in our communities and protected areas. Over $1,400 was raised for Yellow Chat research and 5 Top End businesses and organisations were part of the event’s success. Kakadu is home to over a third of Australia’s bird species and they never fail to put on a great show during Kakadu Bird Week, especially around water in shrinking billabongs and hiding out in cool refuges amongst the rock art in sandstone crevices. We were lucky enough to see 136 species while we were there, we hear the offical list was over 155 species, including Kakadu’s sandstone specialties (White-lined Honeyeater, Chestnut-quilled Rock Pigeon, Banded Fruit-dove), Red-necked Avocet, Rainbow Pitta, Australian Bustard, Little Kingfishers galore and Great-billed Heron. We were in owe of seeing Gouldian Finches and the Red Goshawk! It was great to see waves of migrant sandpipers (Wood, Marsh, Sharp-tailed and Common) and Greenshank on the floodplains and hear and watch over 5,000 Magpie Goose busily feeding at Mamukala Wetlands, an Australian stronghold site for the geese. Overall it was an exciting 5 days, we only wish we could be there for the full 9 day experience, but we cannot complain, we meet some fantastic people who organised the wee, plenty of our supporters and members, and lots of new people who were happy to be introduced to BirdLife Australia. Cover image: Cara Schultz Magazine production Editor and Fiona Blandford Network Development Coordinator bought to Kakadu Bird week by NT Tourism, Thank you!